The Far Reach, safely made landfall at Cape Lookout NC about 1830 yesterday, 1 June. We are anchored at almost the exact spot from which my sister Tricia and I took our departure for the British Virgin Islands on 8 December. 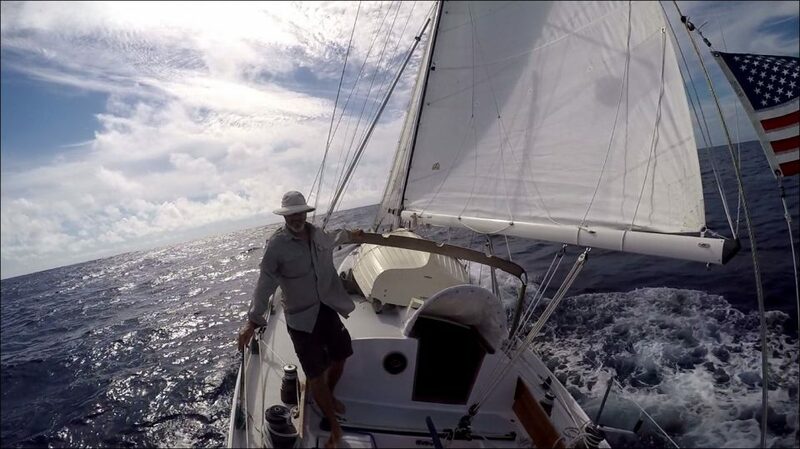 We–the Far Reach and I–for I singlehanded this voyage, sailed 1,334 nautical miles from St Maarten to Cape Lookout in 12 days. It was a wonderful offshore blue water adventure. We successfully dodged Tropical Storm Bonnie and in fact sailed right under the mostly disintegrated “Low” about 1400 lyesterday (though I now understand she may be regenerating as she moves NE up the coast).